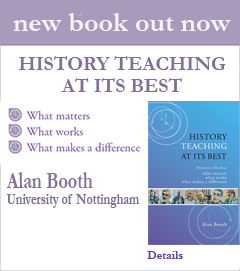 In this section we have grouped clips of historians reflecting on how they have developed as teachers of the subject and the advice they would like to pass on to others starting out, as well as some film that offers longer or broader collegial conversation about teaching matters. This includes film produced by colleagues and we welcome other contributions. We have divided the section into three sub-sections which can be accessed via the playlist buttons in the menu on the right. Viewers are reminded, however, that just as conversation (and life) is rarely so neatly packaged, many clips overlap and complement each other in ways that go beyond easy compartmentalisation. In short, as in teaching, it always pays to explore and from this page you can do so in your own way.